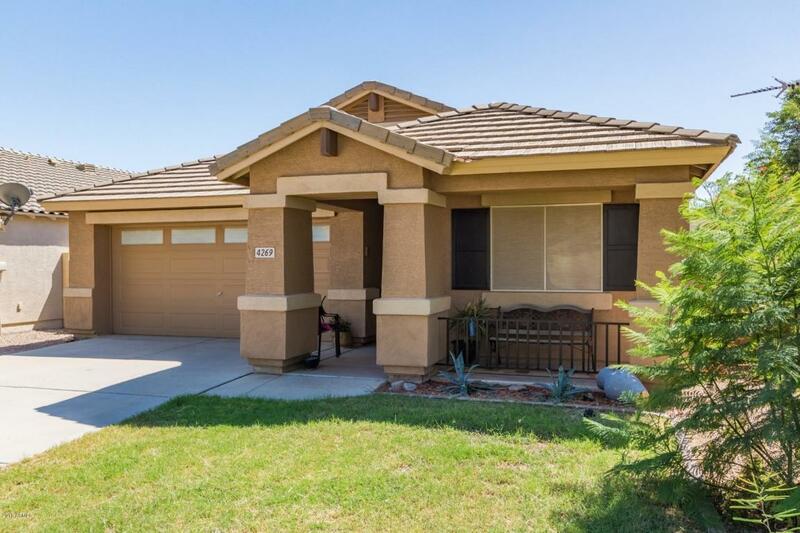 LOOKING FOR A NICE LARGE FAMILY HOME IN SAN TAN VALLEY WITH OVER 1700 SF? 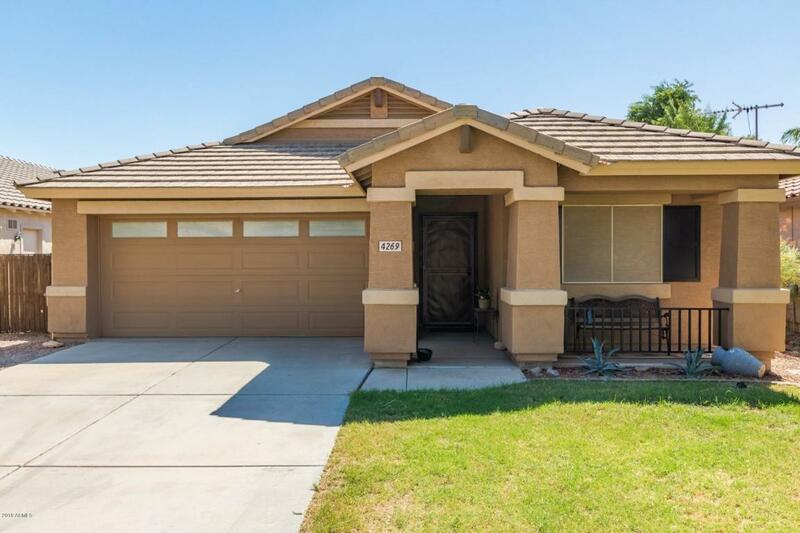 THIS IS A VERY ATTRACTIVE RANCH STYLE HOME WITH NICE FRONT PORCH AND WONDERFUL OPEN FLOOR PLAN WITH GREAT ROOM. OPEN LIVING & KITCHEN AREA. KITCHEN FEATURES BREAKFAST BAR, LOTS OF CABINETS, MICROWAVE, RANGE, REFRIGERATOR. LARGE DEN WHICH IS BRIGHT AND OPEN. TWO GUEST BEDROOMS SPLIT FROM MASTER. 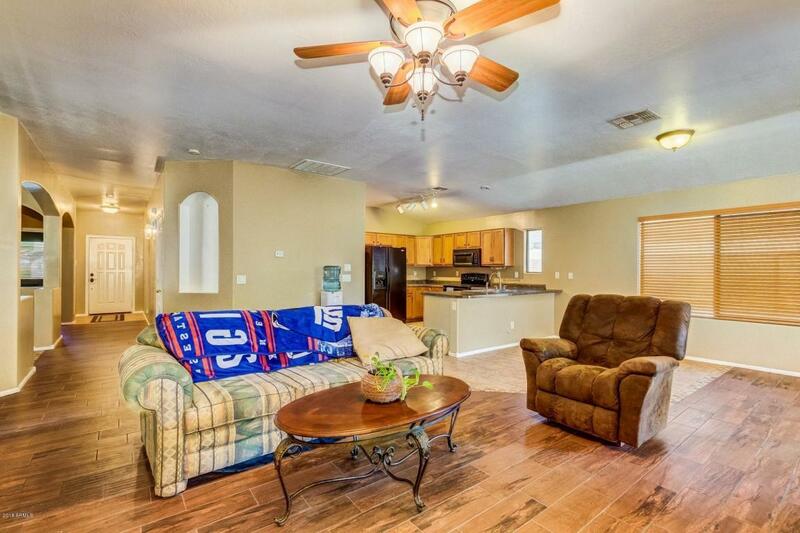 PRIVATE LARGE MASTER SUITEB WITH SEPARATE TUB AND SHOWER, DOUBLE SINKS AND HUGE WALK IN CLOSET. 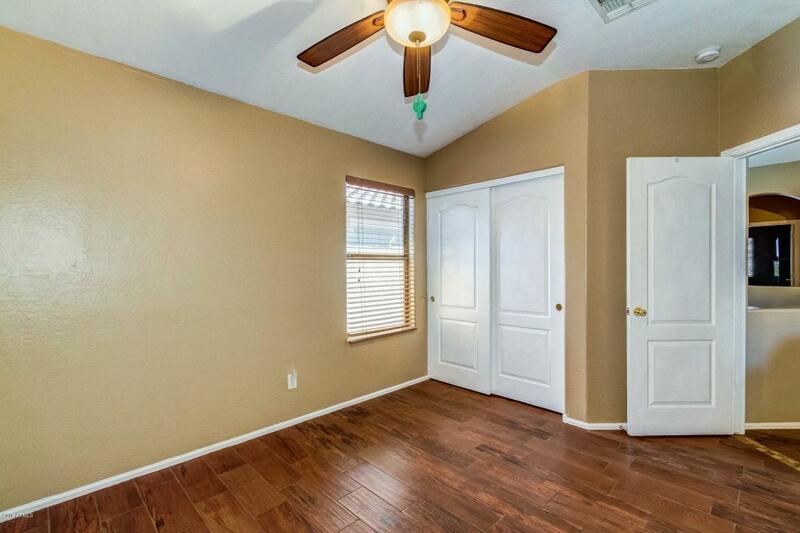 VAULTED CEILINGS, TWO TONE PAINT, CEILING FANS. TILE FLOORS THROUGH OUT! SLIDING GLASS DOOR TO COVERED PATIO. NEW LARGE SHED IN BACKYARD FOR EXTRA STORAGE. NEWER EXTERIOR PAINT. NEW GDO. NICE SECURITY DOOR ON FRONT. PRICED RIGHT. CALL NOW TO SEE THIS HOME! Cap Imprv Impact Fee 152.